If you’d like to see expanded and improved Rail Passenger Service – Join RailPAC Today! Membership increases our strength in presenting the case for rail to policymakers at all levels! WASHINGTON — An Amtrak train separated early Tuesday morning as it was traveling from Washington, D.C., to Boston. The Acela 2150 train experienced a “mechanical issue when two of the train’s cars separated” just before 7 a.m., according to Amtrak spokesman Jason Abrams. CBS News transportation correspondent Kris Van Cleave reports the train had eight cars in total, including five passenger cars. Two cars separated near Havre de Grace, Maryland. The area where the train split apart happened in an area where passengers can move between cars, CBS Van Cleave reports. “If someone would’ve been passing from one car to another potentially they could’ve have fallen through that separation,” said Mark Rosenker, the former chairman of the NTSB. “Rescue locomotives arrived from Odenton, MD and Wilmington, DE at 10:10am EST to couple to each end of the train to assist the mechanical department in manually connecting the cars. Acela cars are semi-permanently coupled (non-conventional couplers) and require trained mechanical persons to recouple the cars. “The train departed Haver de Grace at 13:11 pm EST for the Bear, DE shops. It will be pulled to Newark, DE with an ACS-64 (electric locomotive) and then a diesel locomotive will be put on in Newark and the train will then be brought to Bear, DE. The restricted speed for this move will be 25 mph. “Initial cause of separation is that the drawbar pin on coach 3554 had fallen downward and put pressure onto the retaining disk, and the bolt holding the retaining disk broke. The pin is approximately 3 inches in diameter and is pressed into the drawbar. A retaining disk is bolted under the pin. A bolt and washer are the secondary part this connection system. The bolt was found to be sheared off. The pin was found on top of a truck frame, along with the retaining disk. A new pin was pressed into the drawbar with a “porta power” and was welded in place. Bound for Miami from Penn Station in New York City, Amtrak train No. 91 was traveling through central South Carolina when it was diverted onto a side track, where it collided head-on with a parked freight train at about 2:45 a.m. ET. Two crew members were killed and more than 100 passengers injured. Investigators for the National Transportation Safety Board appear to be focusing on two possibly related problems that may have contributed to the head-on collision. One is the position of a track switch that steered the passenger train off the mainline track and onto the siding where the freight train was parked; the second is that wayside signals in the area were down for maintenance and upgrades, and inoperative at the time of the crash. Signals were down on a South Carolina railroad where a deadly crash occurred on Sunday morning because a computerized system designed to prevent such incidents was being installed there, federal authorities said Monday. National Transportation Safety Board Chairman Robert Sumwalt said the upgrades to a “Positive Train Control” system left the red, green and yellow lights that govern train transportation inoperable. Contractors have begun hosing 5,000 gallons of diesel fuel into a hurriedly dug drainage ditch to clean up the contaminant spilled during the deadly Amtrak train wreck Sunday outside Columbia. The work could go on for months. The contractors plan to skim off and sponge up the floating fuel. S.C. Department of Health and Environmental Control staffers are monitoring the work and the federal Environmental Protection Agency has inspected it. Lexington County sheriff’s deputies arrived first at the crash, about six minutes after the first 911 call, according to Chief Brian Hood of Lexington County EMS. A minute later, the first ambulance arrived, and then the first fire engine a minute after that. The county deployed an ambulance bus, called an “ambus” for short. When Lexington County EMS got the call around 2:30 AM Sunday, Chief Brian Hood said his department knew pretty quickly it was dealing with hundreds of injuries. An ordinary ambulance can only carry two patients at most, but the “ambus” is no ordinary ambulance. It can carry almost twenty people. Hood said the county purchased an old Lexington Richland Five school bus years ago that he and others stripped out, repainted, and refitted into an ambulance. It gives paramedics and EMTs the ability to transport 18 people in stretchers and a few more seated, if possible. The county applied for a DHEC grant to make it happen. The idea costs only about $100,000. Hood said new “ambus” would have cost the county about $450,000. COLUMBIA, SC ( WOLO) — Palmetto Health officials say they have 2 patients remaining in their care, from the 60 patients they received Sunday from the Amtrak crash. Hospital officials say one patient is in serious, the other in good condition. Hospital officials say they received an influx of patients from the Amtrak train accident in Cayce, South Carolina, yesterday, Sunday, Feb. 4. The latest update on the patients received from the accident: Palmetto Health receives 62 patients: 59 adults and 3 children at multiple hospital locations. 60 patients have been discharged. WASHINGTON (Reuters) – Amtrak Chief Executive Officer Richard Anderson will testify next week before a U.S. House of Representatives panel on the adoption of anti-crash technologies in the wake of a number of fatal accidents involving the U.S. passenger railroad. An Amtrak spokesman said Anderson will appear on Feb. 15 before a House Transportation and Infrastructure Committee panel. Both Amtrak and freight railroads that own the tracks fight to keep those contracts secret in legal proceedings. But whatever the precise legal language, plaintiffs’ lawyers and former Amtrak officials say Amtrak generally bears the full cost of damages to its trains, passengers, employees and other crash victims — even in instances where crashes occurred as the result of a freight rail company’s negligence or misconduct. WYOMING, Mich. (WOOD) — A 72-year-old woman who has relied on Amtrak for years wants to warn other passengers after a nightmare 18-hour trip. Linda Kaye is visually impaired. She maintains her independence as best as possible by wearing specialty glasses and using a walking cane to sense her surroundings. Last Friday, Kaye got on the early morning train from Grand Rapids to St. Joseph to visit her dad, a trip she’s done numerous times with no issues. A city panel takes up the prospect of expanded Amtrak service to improve transit options for workers at the planned Foxconn Technology Group industrial park on Thursday. The Public Transportation Review Board will discuss the status of adding three additional daily Milwaukee-to-Chicago trips, in part, to accommodate the Taiwan-based company’s expected big workforce in Mount Pleasant. WACO, Texas (KWTX) Amtrak’s Texas Eagle trains will pass through Hewitt and Waco for the next several days while repairs are performed between Fort Worth and Temple. “It’s no new track being built, just maintenance of existing track in the area to efficiently move our trains across it,” said Joe Faust, Director of Public Affairs for the region. The trains normally pass through McGregor to the west of Waco en route to Temple and Austin, but from Wednesday through Friday, will skip stops there and in Cleburne while BNSF crews work on the tracks they usually use. The Amtrak Downeaster, which currently runs from Boston to Brunswick, could go as far north as Rockland this summer if the Northern New England Passenger Rail Authority (NNEPRA) approves a pilot program in March. NNERPA wants to ensure that Maine communities will be active Amtrak partners before it finalizes the service, the Maine Free Press reported last week. The program would include additional stops in Bath, Wiscasset, Newcastle and Rockland. NNEPRA is currently holding forums in each of these towns. The Downeaster would use existing railroads that primarily carry freight trains. MARFA – Thanks to a letter writing campaign from San Antonio resident and Marfa fan Bruce Flohr, Amtrak officials have begun to discuss the possibility of moving a Sunset Limited stop from Sanderson to Marfa. According to Flohr, a former Southern Pacific administrator, his campaign to bring a stop to Marfa began after taking a train to Alpine from San Antonio. MARTINSBURG — Members of the Martinsburg Historic Preservation Review Commission unanimously approved at their meeting Monday, Amtrak’s request to build a new platform on the east side of the tracks at the Caperton Train Station on Martin Street. Amtrak operates a westbound train and an eastbound train daily between Washington, D.C., and Chicago with stops in Martinsburg. Amtrak uses the east tracks or the tracks on the Roundhouse side. ESSEX JUNCTION, Vt. (WCAX) Amtrak passengers finally arrived in Vermont Thursday morning after a nearly eight-hour delay overnight. Passengers on Train 56, the Vermonter, headed from Washington, D.C., to St. Albans arrived at the Essex Junction after 2 a.m. Thursday. A representative from Amtrak says the train was delayed “due to a mechanical issue,” but didn’t clarify further. Passengers say crews told them about snow flying up from the tracks and getting into the engine. GALESBURG — For the second time in a week, Galesburg authorities will hold onto money seized from an Amtrak passenger. Knox County Assistant State’s Attorney Brian Kerr questioned Galesburg police officer Mike Ingles for a probable cause hearing Thursday morning before Circuit Judge Paul Mangieri. The matter at hand was $14,920 taken off a passenger train by local authorities Jan. 27. Police went to the local train depot, 225 S. Seminary St., that day for a security check and sought to talk to Jace M. Dunlop, 41, Crestone, Colorado, according to a Galesburg police report. Dunlop had an active Peoria County warrant for failure to appear, Ingles said in court Thursday. Similar to a hearing last week where authorities received probable cause to hold onto about $128,000, Dunlop does not have a corresponding criminal case to go with the seizure case. The first thing to note is that this is not, in fact, a new Trump initiative to crack down on illegal immigration. Border Patrol agents have been doing this for a while — even under the Obama administration. I know this because I watched Border Patrol agents do the same thing back in 2010. I was a crime reporter in South Florida, and I accompanied agents as they questioned passengers at a Greyhound station in the Fort Lauderdale area. In August, Schumer, along with several other Senate Democrats from the Northeast, put a procedural hold on the nomination of Ron Batory, a former chief operating officer of Conrail, to run the Federal Railroad Administration. Democrats were angry that federal officials rejected a proposed Obama-era deal to fund a new rail tunnel beneath the Hudson River connecting New York and New Jersey as part of what’s known as the Gateway project. It’s a stressful time for the Federal Railroad Administration. With a string of fatal train crashes and a rising trend of rail-related deaths, now is the worst time to be without a leader. However, it is an issue the FRA is now facing after the Department of Transportation announced the resignation Saturday of acting Administrator Heath Hall following reports of moonlighting. Hall’s resignation came after POLITICO raised questions about whether he had still been working as a public relations consultant for the Madison County Sheriff’s Department. Hall has a public relations and political consulting firm in Madison. Apparently, the Amtrak wrecks in Washington last summer and in December, the incursion at the grade crossing in West Virginia in January; and the wreck in South Carolina this month, failed to arouse a normally curious and investigative east coast media to wonder where the FRA was in all of this. How is it that everybody today looks like a deer in the headlights to find out the FRA was unmanned during this crucial period? Unmanned, I say, because the acting administrator, Health Hall, had no industry experience whatsoever. We can only be grateful that we were saved by the old mantra, “greed is dependable,” as he was finally caught violating federal ethics by moonlighting in his prior PR job back in Mississippi. A Pennsylvania judge reinstated criminal charges Tuesday against the Amtrak engineer involved in the fatal derailment in Philadelphia in 2015. A previous judge, Thomas Gehret, threw out the criminal charges against Bostian in September, ruling that the evidence pointed to an accident rather than negligence. Prosecutors appealed. A new rail bridge has opened over the San Diego River in California, US, as a part of the San Diego River Double Track (SDRDT) project, which aims to increase service frequency and improve passenger and freight rail capacity in the region. According to the San Diego Association of Governments (SANDAG), the first track of the 900ft bridge was opened for rail traffic movement under the initiative. The project will see the old rail bridge be demolished in order to accommodate a new parallel bridge, which will complete the double-tracking over the San Diego River. LOSSAN Has Some Great Plans For More Rail Service: So Where’s The Rub? At the LOSSAN Joint Powers Authority Board Meeting on January 29, 2018, plans were discussed to run a third round trip train between San Diego and San Luis Obispo, a distance of 350 miles between the whole LOSSAN Corridor route. Also discussed at this meeting was the need for the LOSSAN corridor to have more passenger cars to carry more passengers and run more trains. There are 49 new cars on order by the State which are not expected to be delivered for at least 2 years. This doesn’t include plans to lease Talgo equipment originally built for the State of Wisconsin. The lease contract for these cars is still being negotiated which have been on going for well over a year. There are plans to start up a commuter service this spring between Ventura County and the city of Santa Barbara. This will likely also need more equipment. At the same time the age of most of the Amtrak passengers cars used on the Surfliner service range roughly from between 20 to 40 years old. Contracts for new Amtrak cars in the last 8 years have lately produced cars that were either delivered late or with no cars being built. Periodically, New Yorkers get upset about this, and one of those reckonings is currently upon us. The(New York) Times hired Rosenthal to spend half a year investigating the MTA, the agency that runs the subway; the new speaker of the City Council, Corey Johnson, is talking about it too; the city’s most esteemed planning organization has dedicated a new 80-page report to out-of-control costs. The problem is basically everything but the tunnel machines: Short-term thinking, interminable environmental reviews, labor unions, incompetent bidders, fragmented management authority, and bad decisions. While speaking Tuesday night at the Transit Center, a Manhattan-based research and advocacy organization, Rosenthal said he didn’t mean to dig into construction costs. He was trying to figure out the source of delays. Reduced operating expenditures led him to inflated capital projects sucking up time, money, and attention. His had expected to have a “lightbulb moment,” uncovering the one thing that explained how New York built itself into a standstill. Like, for example, tunneling. CYPRESS, Texas – Inside a jam-packed school auditorium, the Texas High Speed Rail Project hit a wall of opposition on Monday. “I’ve got 350 acres of land and it cuts right through the middle of it,” said Calvin House, a property owner in far west Harris County. The lines stretched outside the meeting, hundreds of people who, like House, say this project will destroy property families have owned for generations. The developers of a high-speed train connecting the state’s two largest urban areas announced Monday morning they want to build their Houston station at the site of Northwest Mall, about eight miles from the city’s downtown. That spot is one of three sites Texas Central Partners was considering for the Houston station. All three were at or near the mall. The chosen location is about 1.5 miles from Northwest Transit Center, a major bus hub and the closest public transportation connection. Despite that distance, the company said in a prepared statement Monday that the station will provide “convenient, efficient and direct” connections to the Houston METRO transit system. Are Airplanes Cheaper Than High Speed Rail? Recently there have been news stories that implied expanded air service could handle the traffic that High Speed Rail is planned to handle between Northern and Southern California. If that is so, what’s stopping the airlines from expanding service and flying more people in California now? In most travel corridors of under 600 miles give or take, High Speed Rail service beats air service in market share, door to door travel times and fare price. Generally the major airlines are interested making money. The most significant change for passengers accustomed to the AVE bullet trains will not be speed, but comfort. Renfe squeezes five seats to a row where once there were four, thereby increasing capacity by 30%. Make no mistake; while construction progresses in the Central Valley, here in Sacramento there is much work to be done. Delayed right-of-way acquisition, lawsuits resulting in work stoppage and unforeseen costs associated with relocating utilities along the project’s route have all contributed to budget increases that were announced recently. We’re working hard to bring those costs down and make sure we apply the lessons we’ve learned from these mistakes to future construction plans. In doing so, it is our intent to sustain the public’s trust. As part of this effort, we have recently implemented a number of organizational changes that will move this project forward on the right track. First, we brought on a global high-speed rail expert in a key management position to conduct a thorough review of cost for the project’s completion — part of that work you saw last month with the revised cost projection for initial construction. We also announced last month the hiring of a new CEO with decades of experience as a leader in transportation policy in California, as well as a chief operating officer with a long and distinguished track record of delivering major infrastructure projects. Finally, we have partnered with a team of experts who have experience building and operating high-speed rail in Europe, to make sure our plans align with international best practices. In China the pre-cultural revolution steam locomotives are now gone and diesel power is waning in favour of a new generation of highly efficient electric locomotives. Thanks to advancements in technology, the steel rails are challenging air travel in one of the world’s most populous countries. The new trains are a more relaxed and efficient way to travel with much less hassle through security checks and come with a smaller carbon footprint. High Speed Rail or better known as HSR has taken off on a very large scale and now connects one third of the country. The first HSR passenger travel started in 2007 with a rapid build-up to the present day with more than 1.7 billion trips in 2017. The trains are 99.9 per cent on time and the staff are similar to what you expect to find on airlines. Ministry sources said the meeting decided the Bangkok-Nong Khai high-speed train project should efficiently connect the high-speed network in Laos to the nation’s capital. From Caltrain: San Francisco Giants fans will have their first chance to celebrate the team’s 60th season in the City by the Bay by coming out to AT&T Park this Saturday, February 10, from 10 a.m. to 3 p.m., for the annual KNBR Giants FanFest. Caltrain is ready to get fans to the ballpark by running trains with extra capacity to accommodate the larger crowds. AT&T Park is just one block away from Caltrain’s San Francisco station, so riders can get to FanFest easily without worrying about parking or traffic. Last year, Caltrain carried 521,932 passengers to pre-season and regular season Giants games. Caltrain on Saturday is set to roll out a new app that will allow riders to purchase and activate tickets from their smartphones. The app, dubbed Caltrain Mobile, offers one-way, day pass and zone upgrade digital tickets for adults and passengers who qualify for a discounted fare, according to the transit agency. A majority of San Francisco voters want more subways, more bike lanes, more buses, and more investment in Caltrain, according to the 2018 Dignity Health CityBeat Poll, released by the San Francisco Chamber of Commerce. Support for extending the T-line from Chinatown to Fisherman’s Wharf and bringing Caltrain to the Transbay Transit Center was especially strong, with 78 percent and 77 percent in favor. 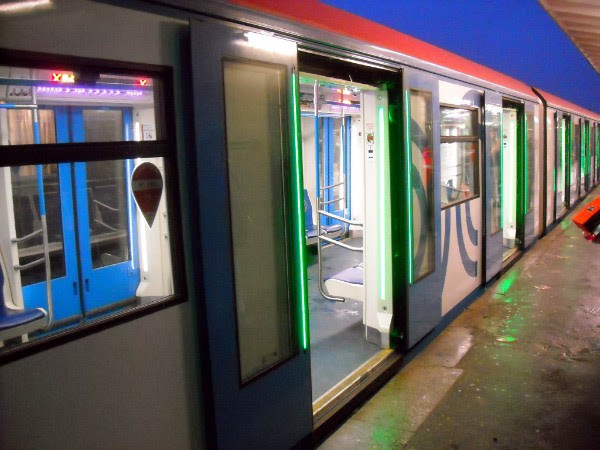 This is a fairly new, colorful and up to date subway train in Moscow, Russia. According to our intrepid reporter Alek Friedman, subway service is more frequent, more colorful and more extensive there than in Los Angeles. This also includes higher levels of service for regional commuter rail service as well as for Light Rail. The rail equipment for these services is well maintained according to Alek. Photo by Alek Friedman. BART announced it is changing out the fabric for all priority seats on its trains, a “new and overt way of reminding people these seats should be reserved for those who need it,” the transit agency said. People are calling them sleek and smooth, quiet and futuristic. One person likened them to spaceships, another to small dogs. The adjectives used to describe the new BART cars are plentiful and strange, though overwhelmingly enthusiastic. 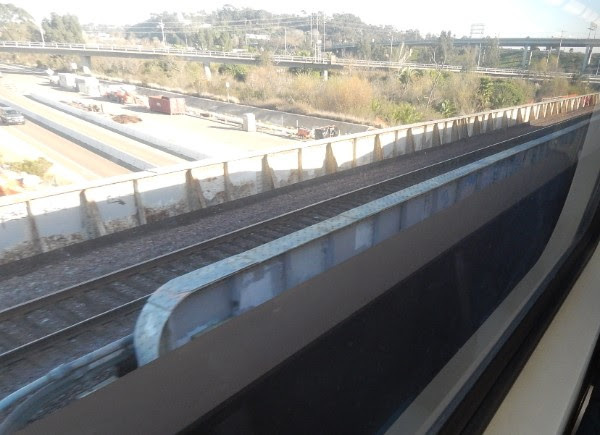 “Just heard a whole platform full of people cheer as a new BART train glided down the track,” tweeted @schnell_j shortly after the January launch of the freshened-up fleet. BART rolled out ten train cars in January, and says another batch will be delivered in February. Weeks after its debut of the Fleet of the Future, a handful of new BART cars are going in and out of service, which included four cars on Monday. With 30 computers and 180 software packages on each car, Trost said the agency anticipated the new cars will need either scheduled maintenance or software updates going forward. She said the software fixes are not safety related. 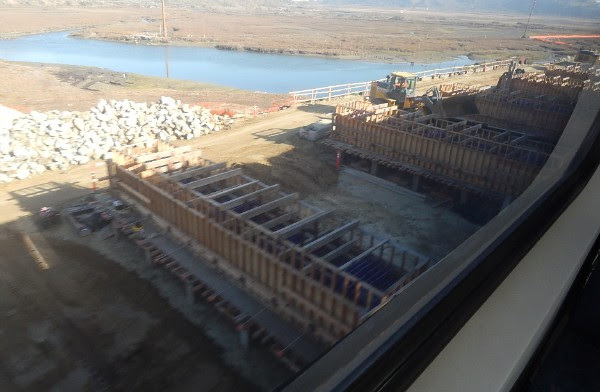 The Santa Clara Valley Transportation Authority (SCVTA) has announced that it has pushed back the opening service date for Phase I of its Bay Area Rapid Transit (BART) Silicon Valley Project. SCVTA said it will need to push back the original estimated opening date from June 2018 to the fall of 2018. The passenger line will stretch from Warm Springs in Fremont to Berryessa in San Jose. Partnering with California College of the Arts, BART officials asked students with the school’s TBD* Studio to design posters to help curb bad behavior on BART. Speaking with riders, consulting BART staff and observing behavior on trains, the team came up with a line of posters that address the daily commute issues facing those who ride the train daily. A second Transbay tube or tunnel crossing, the extension to Silicon Valley, and Communications-Based Train Control were some of the topics discussed today and yesterday at BART’s annual board workshop. The workshop, held at the Renaissance Club Sport Hotel in Walnut Creek, is a chance for board directors and staff to discuss a panoply of issues and formulate a general direction for the agency. …That late-January morning in Santa Rosa, one other bike rider boarded at the downtown stop. In the afternoon on the way back, Hostutler said, the train that leaves Novato at 4:41 p.m. bustles with bikes as commuters cram aboard to rush north. Soon after SMART started operating in August 2017, Hostutler fused train with bike to get to work. “My company just gave me a commuter voucher,” he said. “I cash it in at Walgreens to get value on the Clipper card. It’s cool that they cover the benefit of the ride on the train,” he said. Each two-car train has space for up to two dozen bikes. SMART added a third car to some of its peak commuter runs in November due to high demand by bicyclists. Then in January, SMART put even more three-car trains into use. Caltrans released details surrounding $173.4 million in grants awarded to 57 projects by the California Transportation Commission. Out of the pot of funds awarded, $96.4 million will go toward 11 state rail projects. California’s plan to deny pipeline permits for transporting oil from new leases off the Pacific Coast is the most forceful step yet by coastal states trying to halt the biggest proposed expansion in decades of federal oil and gas leasing. Officials in Florida, North and South Carolina, Delaware and Washington, have also warned drilling could despoil beaches, harm wildlife and hurt lucrative tourism industries. Andres Soto, a longtime community activist who now is with Communities for a Better Environment, began seeing multi-car coal trains sitting on the tracks next to the BART station in Richmond four years ago. “And the Phillips 66 refinery in Rodeo is producing huge amounts of petcoke for export to Asia and Latin America,” he said. Statistics sourced from the U.S. Census, International Trade and obtained by the Sierra Club document that, in 2013, the Port of Richmond exported 176,000 metric tons of coal and 322,000 metric tons of petcoke. In 2017, through August, coal exports totaled 698,000 metric tons and petcoke exports totaled 511,000 metric tons. “As far as right now is concerned, all of these new gas taxes are already working for you,” said Lucy Dunn, a state transportation commission member and president and CEO of the Orange County Business Council. As for the idea that the state has enough money for road repairs without SB 1, Dunn said that’s not the case, since much of the state’s tax revenue is restricted to specific uses. Combining those results with time-of-day data, MAPC estimates that 15 percent of ride-hailing trips are substituting for more spatially efficient modes of travel during the morning or evening peak (defined as 6-10 a.m. and 3-7 p.m.). A boom in sales, a pickup in defaults, and risk premiums keep on dropping. It’s all happening in the market for subprime auto bonds, where loans to American consumers with some of the patchiest credit histories are packaged into securities to be sold to big investors. Adecade after risky mortgage lending toppled the U.S. financial system, the securities have rarely been so popular. But the collateral behind the bonds is getting less safe: car-owners are increasingly falling behind on bigger loans with longer repayment terms made against depreciating assets. “As used-car values drop a bit and delinquencies and roll rates begin to increase, the subprime sector will show significant underperformance and lack of decent liquidity,” said Don McConnell, senior portfolio manager at Bank of Montreal’s BMO Global Asset Management in Chicago, who helps manage $15 billion of taxable bonds. He’s reinvesting cash from maturing notes elsewhere. The City of Santa Monica, more so than most other regional communities, has been re-designing its city to encourage residents, workers and visitors to ditch vehicles in favor of alternative transit, like buses, Expo trains, walking and riding bikes. Before the May 2016 arrival of the Downtown Los Angeles-to-Santa Monica extension of the Expo line, the BBB underwent an all-encompassing over-haul, so its bus service would be compatible with light rail (“Santa Monica Big Blue Bus Makes Major Route Changes in Final Light Rail Preparations,” February 17, 2016). But the system’s most recent report showed Expo cannibalized some routes and is blamed in part for the drop in ridership, although BBB’s loss of passengers has continued for seven years. A new report from analytics company INRIX states that Los Angeles has the worst gridlock — for the sixth year in a row — out of 1,361 cities in 38 countries. INRIX’s Global Congestion Ranking report states that drivers in Los Angeles spent an average of 102 hours in congestion in 2017 during peak time periods, the equivalent of more than four days. Los Angeles was followed by New York City, San Francisco, Atlanta and Miami in the U.S. list. In 2017, Governor Jerry Brown signed SB 35, a new law that demands California cities build more housing or risk temporarily losing control of some of their permitting and entitlements processes. Few metros meet the state’s regular Regional Housing Needs Assessments—hence the need for a law to motivate more building—but it wasn’t until Friday, when the California Department of Housing and Community Development released the first assessment of cities that would be subject to the state’s new “streamlining process,” that the full extent of the law’s scope became clear. It’s almost a clean sweep across the board: 97.6 percent of California cities and counties fall under some provision of SB 35 or another. Studies have shown that taking public transit is good for your heart, a point Metrolink is promoting in February during federally designated American Heart Month. Researchers around the globe from Japan to America found that the use of public transit pushes people to walk more, which benefits heart health. They note that individuals who use public transit like Metrolink, Southern California’s regional rail system, get more than three times the amount of physical activity per day than those who drive to work – 19 minutes compared to six. Many walk, bicycle or skateboard to the train stations and bus stops and from there to work, school and other destinations. Some Los Angeles Dodgers fans may have the option of leaving their cars at home and taking Metrolink trains to home games. Directors of the regional service on Friday approved a motion to study special train service for Dodger games on the railroad’s San Bernardino and Antelope Valley lines. That would allow fans from eastern and northern parts of the Los Angeles region to avoid traffic on the State Route 60 freeway and Interstates 10 and 210, as well as parking hassles. The trains would deliver fans to Union Station downtown and from there those with game tickets would ride free on express buses to and from the stadium. Los Angeles Union Station officials are considering a $2 billion expansion of the facility, which they said would improve the quality of service for riders and increase the station’s efficiency, according to Engineering News-Record. The Link Union Station (Link US) project would create a new entrance for Amtrak and Metrolink commuters, and also construction of a new passenger concourse, which would replace an existing tunnel that is often overcrowded and lacks modern features and amenities. 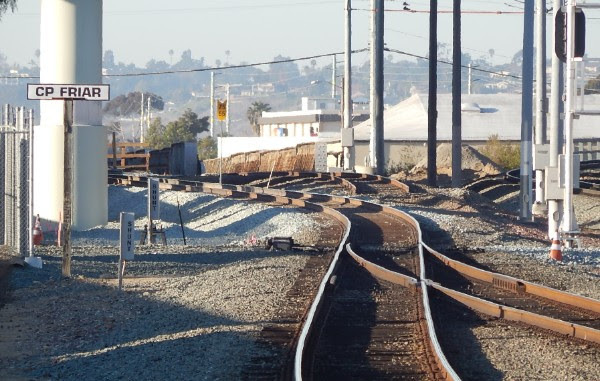 The Link US project also would add a loop track, usually installed to allow trains to reverse direction or make turns without stopping, and run-through tracks to take passengers beyond Union Station to other Southern California destinations. Supervisors Janice Hahn and Hilda Solis have introduced a motion which calls upon the County to “align planning efforts across both regional plans and infrastructure plans to best position the County to implement transit-oriented development,” surrounding new rail stations. This action is prompted by a component of Measure M which requires that any jurisdiction located within a half-mile of a new transit stop pay 3 percent of total project costs. This requirement can be satisfied by investment in active transportation and other first miles-last mile projects that are included in project costs. Metro’s current expansion plans could result in as many as 10 new stations in unincorporated communities whose land use policies are determined at the County level. Sotero said this is a function of things getting worse before they get better. Metro expects the number of reported crimes to drop over time as the increased police presence deters more criminals. LOS ANGELES — Investigators believe a homeless man killed his wife in an abandoned restaurant, chopped up her body, stuffed it into a suitcase and then calmly rode with it aboard a train before he burned her remains in a parking lot, Los Angeles police said Tuesday. After Valentino Gutierrez killed his wife last week in a shuttered restaurant in Pasadena, he dismembered her body, stuffed her remains into a large suitcase and boarded a light-rail train at a nearby station, Deputy Chief Justin Eisenberg said. This week at least, Google street view provides an interesting before/after view of the improvements in Birmingham, AL; depending on which street you view the scene from. The satellite view shows the new station on Morris between 18th and 19th Streets North, and the adjacent structure west of 18th St. Click the street view icon onto 18th Street North, which Google photographed reasonably recently; to the left is the enormous, block-long new facility heralded by your news article, nearly complete. Turn right to look across 18th and there’s a long, thin-roofed modern structure that I guess is an update of the bus station. Quite a transformation. If you drop Google’s street view icon onto Morris Ave, Google hasn’t driven that for a few years. So we see the big new transit center site as a vacant lot where the historical station once stood; no sign of the construction to come. The Amtrak depot is a hole in the wall – probably restricted to the old under-track concourse, marked by an awning and a door. No grace whatsoever. East of Morris is an older city bus station, maybe built in the 1990s; passengers wait in the shade of the 1-story parking garage, facing the ragged backs of buildings on 1st Street North (against which enterprising citizens have set up tables, coolers, ice cream and fruit stands). Opinions expressed in this e-newsletter are those of the authors and not necessarily those of the Rail Passenger Association of California. The RailPAC Mission: Passenger Rail advocacy, Publications…both print and electronic, Representation at regional meetings, and Rail education. Join us! More memberships increase our strength in presenting the case for rail to policymakers at all levels! If you are not a member, go to RailPAC Membership…Join Us! to get information about RailPAC and a FREE copy of our regular newsletter .